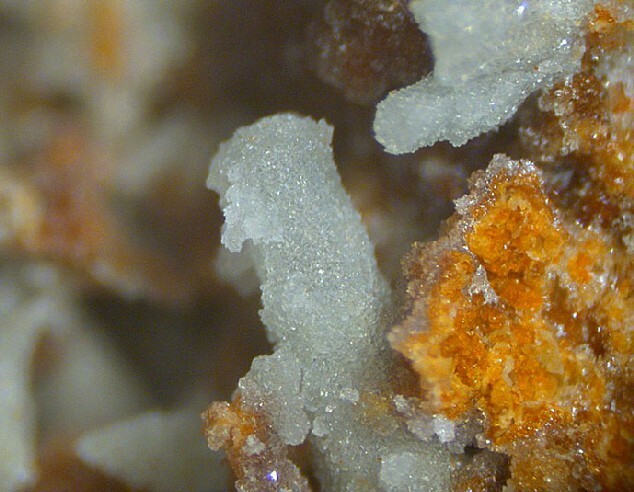 Hidalgoite: Mineral information, data and localities. The arsenate analogue of hinsdalite and the Al analogue of beudantite. Carminite 8 photos of Hidalgoite associated with Carminite on mindat.org. Crocoite 6 photos of Hidalgoite associated with Crocoite on mindat.org. Mimetite 5 photos of Hidalgoite associated with Mimetite on mindat.org. Quartz 4 photos of Hidalgoite associated with Quartz on mindat.org. Bindheimite 4 photos of Hidalgoite associated with Bindheimite on mindat.org. Bayldonite 2 photos of Hidalgoite associated with Bayldonite on mindat.org. Cerussite 2 photos of Hidalgoite associated with Cerussite on mindat.org. Duftite 2 photos of Hidalgoite associated with Duftite on mindat.org. Beudantite 2 photos of Hidalgoite associated with Beudantite on mindat.org. Baryte 1 photo of Hidalgoite associated with Baryte on mindat.org. Smith, R. L., Simons, F. S. and Vlisidis, A. C. (1953): Hidalgoite, a new mineral. American Mineralogist: 38, 1218-1224.
Cooper, M.A. ; Hawthorne, F.C. (2012): Refinement of the crystal structure of zoned philipsbornite-hidalgoite from the Tsumeb mine, Namibia, and hydrogen bonding in the D2+G3+3(T5+O4)(TO3OH)(OH)6 alunite structures. Mineralogical Magazine 76, 839-849. 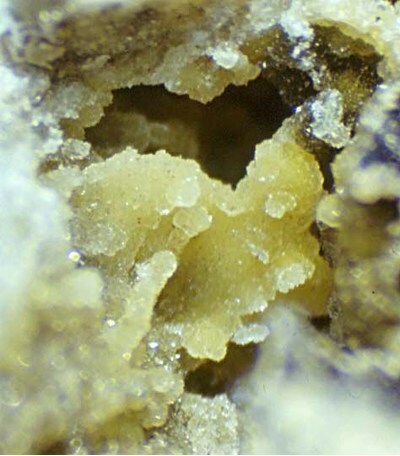 The following Hidalgoite specimens are currently listed for sale on minfind.com. Chapman, J. & Scott, K. (2005): Supergene minerals from the oxidised zone of the Elura (Endeavor) lead-zinc-silver deposit. Australian Journal of Mineralogy, 11, 83-90. ; Leverett, P., McKinnon, A. R., & Williams, P. A. (2005). Supergene geochemistry of the Endeavor ore body, Cobar, NSW, and relationships to other deposits in the Cobar basin. Regolith 2005–Ten Years of CRC LEME, 191-194. Bottrill, R.S., Baker, W.E. (2008) A Catalogue of the Minerals of Tasmania. Geological Survey Tasmania Bulletin 73, 254 pages. Kolitsch, U. (2015): 1926) Akanthit, Albit, Allanit-(Ce), Anglesit, Bismuthinit, Chamosit, Cobaltit, Corkit, Fluorapatit, Galenit, Guanajuatit, Hessit, Hidalgoit, Kalifeldspat, Klinochlor, Matildit, Monazit-(Ce), Muskovit, Plumbojarosit, Rutil, Sphalerit, Stephanit, Tetraedrit, Titanit, gediegen Wismut und Zirkon vom Langsee (Seekopf), Alpe Fresch, Silbertal im Montafon, Vorarlberg. Pp. 229-231 in Niedermayr, G. et al. (2015): Neue Mineralfunde aus Österreich LXIV. Carinthia II, 205./125., 207-280. Chollet Pascal collection - XRD analysed by Michel Blondieau at "Laboratoire de minéralogie, université de Liège, Belgium"
J. Gröbner: Neufunde aus der Grube Michael bei Weiler, Lahr-Reichenbach . Der Erzgräber 17 (1/2003), 21-27. Schnorrer-Köhler, G. (1983) Die Minerale der Schlackenhalde der ehemaligen Zinkhütte Genna in Letmathe/Sauerland. Aufschluss, 34 (2), 89-99.; Schnorrer-Köhler, G. (1986) Neue Minerale von der Schlackenhalde der ehemaligen Zinkhütte Genna in Letmathe/Sauerland. Aufschluss, 37 (2), 55-67.; Bender, D. and Krimmelbein, W. (1994) Aktuelle Übersicht: Mineralien der Zinkhütte Genna/Sauerland. Stand Juni 1994. Mineralien-Welt, 4/94, 10. Möckel, S. (2000): Strashimirit und 11 weitere Neubestimmungen aus Lavrion (GR). 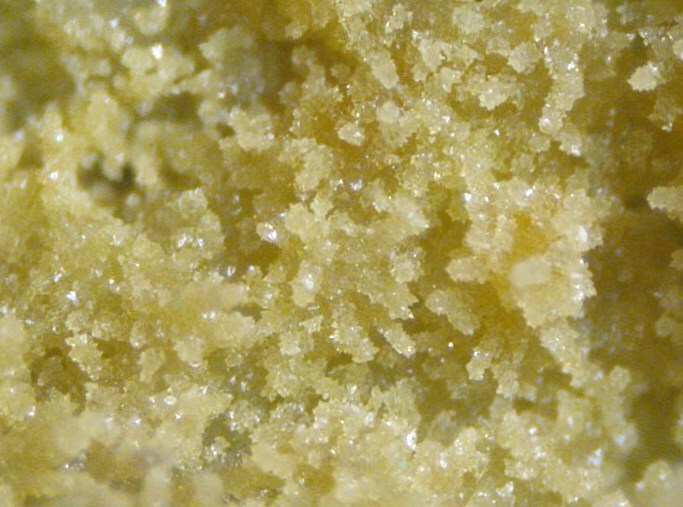 Lapis 25 (7-8), 74. Lapis No.7/8 1999 p.70-74; GRÖBNER, J. (2001): Roter Skorodit und weitere ungewöhnliche Arsenate: Die Mineralien des Abbaus 132 der Grube Christiana, Lavrion/Griechenland. Lapis, 26 (11), 13-21.
de Haller, series of articles in Bull. Soc. Genevoise de Minéralogie in the 1980s. ; Ryback, G., Nawaz, R. and Farley, E. (1988) Seventh Supplementary List of British Isles Minerals (Irish). Mineralogical Magazine, vol. 52, n° 365, pp. 267-274.; Morrissey, C. J. (1970) The Mineralogy, Structure and Origin of the Lead-zinc-copper Residual Orebody at Tynagh, County Gamay, Ireland (Doctoral dissertation, Imperial College of Science and Technology London). - Stara P., Astolfi M. and Pani F. (1991): Nuovi ritrovamenti nella miniera di Baccu Locci - Sardegna. Riv. Miner. Ital., I, pagg. 1-15. Dini A., Senesi F. (2013): I giacimenti di Sn-W-As. Monte Valerio, Pozzatello, Santa Caterina, Botro ai Marmi e Campo alle Buche. Riv. Mineral. Ital., 37, 1 (1-2013), 84-92. Sainz de Baranda Graf, B. (2013): El Complejo Minero San Nicolás, Valle de la Serena (Badajoz). Revista de Minerales, V-3. ⓘ Hingston Down Consols ? Davis, R.J. and Hey, M.H. (1964) Arthurite, a New Copper-Iron Arsenate from Cornwall. Mineralogical Magazine, vol. 33, n° 266, pp. 937-941.; Embrey, P.G. (1978) Fourth supplementary list of British minerals. Mineralogical Magazine, vol. 42, n° 322, pp. 169-177 (referring to Davis & Hey). ; Ryback, G., Nawaz, R. and Farley, E. (1988) Seventh Supplementary List of British Isles Minerals (Irish). Mineralogical Magazine, vol. 52, n° 365, pp. 267-274 (referring to Davis & Hey). ; Golley, P., and Williams, R. (1995) Cornish Mineral Reference Manual. Endsleigh Publications (Truro), 104 pp. (referring to Davis & Hey). ⓘ Roughton Gill Mine ? Förtsch, E.B. (1967) ‘Plumbogummite’ from Roughten Gill, Cumberland. Mineralogical Magazine, 36(280), 530-538.; Embrey, P.G. (1978) Fourth supplementary list of British minerals. Mineralogical Magazine, 42(322), 169-177.; Cooper, M.P. and Stanley, C.J. (1990) Minerals of the English Lake District: Caldbeck Fells. Natural History Museum Publications, London, 160 pp. (referring to Förtsch, 1967 and Embrey, 1978). ⓘ Caldbeck Fells Mining Region ? Anthony, J.W., et al (1995), Mineralogy of Arizona, 3rd.ed. : 251. Mineralogical Record (1971): 2(5): 212-213. Kokinos, M. and Wise, W.S. (1993), Famous Mineral Localities: the Gold Hill mine, Tooele County, Utah. Mineralogical Record: 24(1): 11-22. Jones, C., Jones, J.K. and LaBerge, G. (1999). The Flambeau mine, Ladysmith, Wisconsin. Mineralogical Record, 30 (2), 107-131.